Zounds, today it happened again. In my email basket. Subject line: "Article." As I recently kvetched I do not like emails like that! 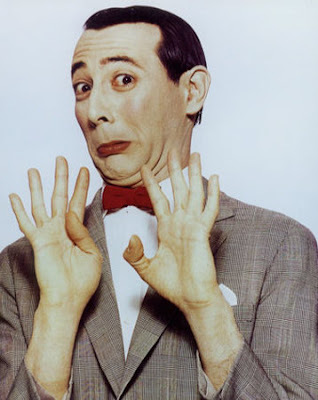 Because as Pee Wee Herman, pictured above, said, everybody has a big But. You can see those big Buts a mile away and even before you see them you can sense their presence. "Thank you for the story but..."
"We are happy for the publicity but..."
This is no way in which to begin an onerous new week! On top of that there has been this disaster in the kitchen. For about a week I would find sort of puddles in the fridge. You would have a cottage cheese carton, for instance, something would be kind of pooled on the lid. I kept thinking it was because once I was taking this soup out and I spilled a little bit. Obviously I am losing my powers of reasoning because although I kept cleaning up the mystery liquid, more kept appearing. Yesterday I finally realized what it was. 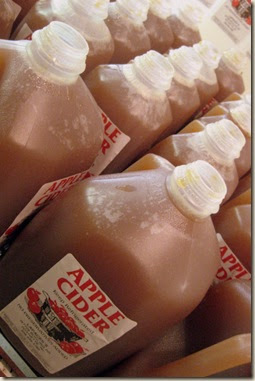 There was this gallon of cider that had been half full and now there was only an inch in the bottom. There was a leak in the plastic jug. I had been too busy listening to Leonard Pennario to figure that out. For real, I was listening to Pennario playing Liszt's "Dante" Sonata not knowing that all the while this cider was going drip, drip, drip in the fridge. As Howard would put it, now this. Now everything has this cider-y glaze over it including a plastic bag of sauerkraut, a carton of half-and-half, a dozen eggs. When I made an omelet I had to remove the eggs one by one because the carton was so sodden it would not hold them. The whole kitchen floor got sticky and I had to wash it. Remember when my cookbooks attacked me the night before Triumph of the Cross Sunday? This was like that. ... and nothing goes wrong. Me, I wind up with the bum bottle. Now this is the greatest. I took the almost empty bottle and put it in the sink yesterday and then I sat down to drink some coffee and think the situation over. And while I am sitting there I hear this noise, a kind of growing "Whoooooosh." Then it turned into this high-pitched whistle. Obviously the guy next door was testing out some kind of machine in the driveway. Hesitantly, carefully, I drew near the sink to look at it. I was not sure if it was going to blow up or what. Finally I picked it up gingerly and slowly unscrewed the cap. And that was the end of that story. I hope! Well, it will be, once I buy a new fridge. What the heck, I needed one anyhow. Well, you could have faced Lillian Hellman. She had two lead- in lines to take people apart (often at the top of her voice) and when her companions at, say, a dinner party heard either of them, they donned the crash helmets. One was, "Excuse me, BUT..."
The other was to interrupt with, "I can't stand what you're saying." Which was always bigger than but.